I love everyone's outfits! Have a nice weekend. i love all the outfits,they are amazing! !thanks for your comment dear!have a nice weekend!! I like your style! I am following you. 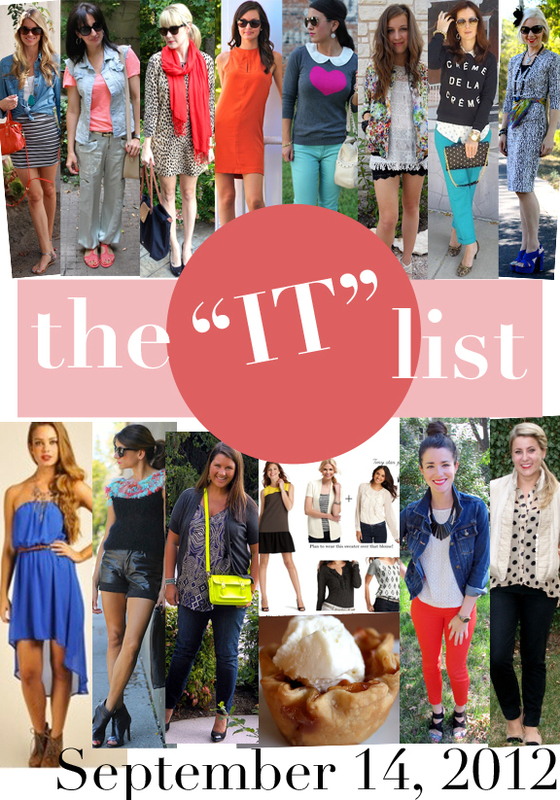 This "it list" is such a wonderful idea! Thanks for sharing. Awesome outfits! I love the post! nice post..love all these ideas!! Love this! You look adorable- as always! These are such lovely fall outfit ideas! I love all of the pops of color!